Environment Minister Rob Stokes has appointed an independent panel to "shake up" biodiversity laws governing threatened species, native vegetation and national parks, saying many regulations are more than 40 years old. This "shake up" is a euphemism for loosening environmental laws, and caving into lobbying pressure from farmers and hunters in the Nationals and Shooters and Fishers Party. They want greater landowner "rights" when it comes to bush clearing. With extinctions, land degradation, logging, mining, climate change and population growth, the laws should be upgraded and reinforced, not softened! WWF estimates these laws have saved tens of thousands of hectares of bush in NSW, as well as 265,000 native animals, including hundreds of Koalas. This so-called "review" ominously will try to reconcile the impossibility of accommodating economic and social factors, as well as environmental values, form part of decision making – a so-called "triple bottom line" approach. The massive weight of human demands covered in social and economic benefits will overwhelm any natural values and the interests of native species. The latter don't vote, or have any inherent monetary value! Cutting "red tape" regarding land clearing is about loosening environmental controls, and caving into the oxymoron that there can be "sustainable development", and "self regulation", while at the same time contradictorily trying to conserve biodiversity! The "red tape" is to protect land from destruction and degradation, and from the "rights" those with vested interests think they have to manipulate the environment to suit their own commercial or recreational purposes. 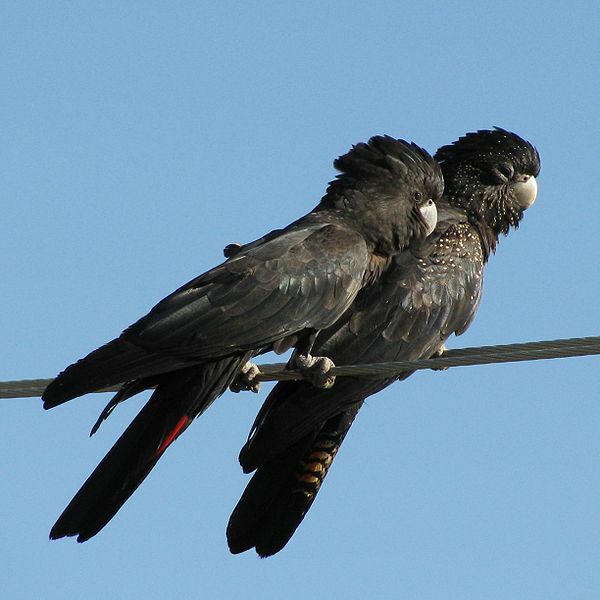 Threatened or endangered animals such as koalas, spotted tree frogs, yellow-bellied gliders and some black cockatoos need their habitat corridors intact, and there can be no compromises. Independent research, completed by the Queensland Herbarium, the NSW Royal Botanic Gardens and the NSW National Parks and Wildlife Service found that the true rates of clearing are much higher than previous estimates in Queensland and New South Wales. We need to enshrine more Natural rights! Australia, the leading nation in mammal extinctions, now ranks number five in the world in land clearing rates, behind the developing nations of Brazil, Indonesia, Sudan and Zambia. There's no "sustainable" farm managing practices, or any rural economies, without intact ecosystems and the biodiversity that keeps the natural systems functioning. Nature Conservation Council of NSW chief executive Pepe Clarke said weakening the laws would be an environmental "disaster", potentially removing the requirement for landholders to improve or maintain soil, salinity, water pollution and native vegetation cover. The late microbiologist Frank Fenner was an authority on extinction. The was the emeritus professor in microbiology at the Australian National University played a leading role in sending one species into oblivion: the variola virus that causes smallpox. Widely regarded as the World Health Organization’s (WHO) finest hour, in 1980 Fenner announced to the World Health Assembly that smallpox had been eradicated. His work on the myxoma virus suppressed wild rabbit populations on farming land in southeastern Australia in the early 1950s. Fenner said that the real trouble is the population explosion and "unbridled consumption". Back in 2010, he warned that "Homo sapiens will become extinct, perhaps within 100 years". "A lot of other animals will, too. It's an irreversible situation. I think it's too late. I try not to express that because people are trying to do something, but they keep putting it off". Species don't go extinct in a vacuum, sealing the fates of humans distinctly. Fenner said that another limitation is covered by the expression not seeing the forest for the trees. That limitation also has a time dimension—characteristic human myopia - or anthropocentric short-sightedness!